Hawaii-based burger joint brings made-to-order creations to the mainland. Quick serve concept Teddy's Bigger Burgers serves up premium burgers in Hawaii. Most U.S. mainland residents have never been to a Teddy’s Bigger Burgers; those who have probably visited while on vacation. But that may soon change, as the Hawaii-based burger joint now has two mainland units and is poised for additional growth. After the first Teddy’s opened in Honolulu in 1998, the brand grew slowly, adding two more stores in Hawaii by the end of 2003. Teddy’s started franchising in 2005 and now has five franchised stores—two in Hawaii and one each in Washington State, Iowa, and Japan. While the business might have been cutting edge as far as burgers go, Teddy’s does things the old-school way. “We cook everything to order, using fresh, hand-pattied ground chuck with nothing added,” Tsakiris says. The menu also features Extra Thick Shakes made with five scoops of full-fat ice cream for $5.49. Side choices include french fries, tots, and beer-battered onion rings. Tsakiris says the menu was mainly focused on beef burgers in the beginning, but now includes a turkey burger, grilled or crispy chicken, veggie burger, fish sandwich, and pastrami sandwich, as well as a create-your-own salad option and a Caesar salad. That burger place would apparently be bright, with tables and chairs in bold primary colors, black-and-white-tiled walls, and a 1950s theme. No matter what the store looks like, though, operating a restaurant in Hawaii is difficult, Tsakiris says. He says that as the concept grew and buying power increased, Teddy’s looked to its suppliers for better pricing rather than raising prices or changing ingredients. 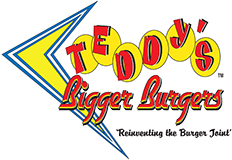 The average per-person ticket for Teddy’s Bigger Burgers is $9–$10 at all units. The best-seller at Teddy’s is the No. 2 Big Combo, which includes a 7-ounce Original Bigger Burger, french fries, and a drink. It’s priced at $9.99. All burgers come with Super Sauce, lettuce, tomatoes, onions, and pickles, unless otherwise requested. And requests are not a problem, as Teddy’s offers a list of additional toppings—from common choices like cheese and grilled onions to uncommon picks like peanut butter, pastrami, and jalapeños. Being a Hawaiian concept, Teddy’s also offers grilled pineapple as an additional topping and includes it on at least one of the specialty burgers. The specialty burger menu includes seven original creations, and one specialty burger or sometimes a new creation is featured each month as the Burger of the Month. Teddy’s did a one-year experiment with an express model, in which it pared down the menu and had the timing down to three minutes. The express model closed when the lease on its downtown Honolulu real estate ran out, but Tsakiris says it worked well and is ready to roll out again in the future. The prototype for a standard Teddy’s Bigger Burgers unit averages 1,800–2,000 square feet on the mainland, but is slightly smaller in Hawaii, where outdoor seating can be used year-round.